We are grateful for the role we get to play in your cat’s and kitten’s health care. As our way of saying thank you, please check this page for specials on services and products that will help you save and delight your cat or kitten at the same time! Whenever you see an offer below, print it and present it to the front desk upon your visit. Please note the expiration date, as we change our special offers periodically. Thank you again for being a loyal member of our community. We truly love treating your cats and kittens! Print this page and bring it to the clinic to receive 10% off veterinary services for your cat or kitten on your first visit to The Cat’s Meow Cat Clinic. 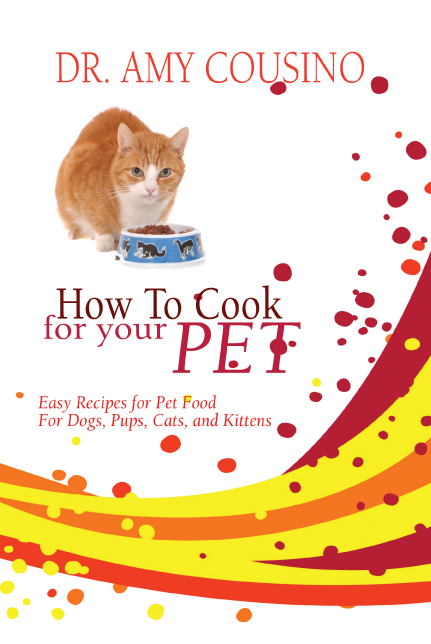 Cook fresh delicious foods for your cat or dog while balancing nutrition and feeding the right amount of calories! It’s easy with Dr Cousino’s Plan.